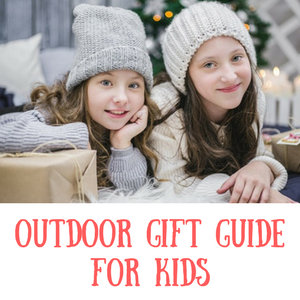 10 fun outdoor Autumn activities for kids – Get Kids Outside! Autumn is a great time to be getting outside. There’s plenty to see, lots of changes in the air and there’s still a good chance of nice weather. 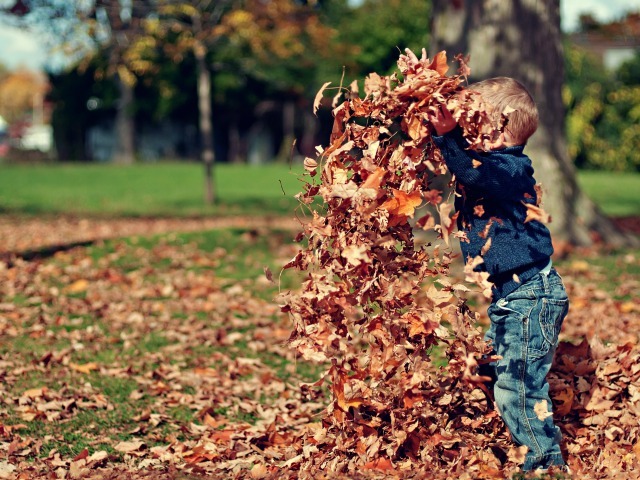 Here’s some ideas of fun outdoor autumn activities that are great for all ages from toddlers to older kids. Add in a lovely hot chocolate after you’ve been outside and you have the recipe for a perfect day! The quintessential windy day activity! Either make your own kite (we always loved just tying a plastic bag to some string!) 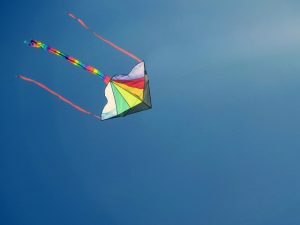 or buy a kite suitable for kids and head off to the park, the beach or any good open space and see how it flies! It can be tricky to get the hang of, but once you do it can keep all ages of kids occupied. Nothing says autumn to me more than finding a huge pile of leaves to kick around! If it’s been a windy day and the leaves have been falling then it’s a perfect time to find some and go for a bit of a kick about! Alternatively see if you can collect some different leaves and make a collage. There are so many – how many different kinds can you find? Can you identify the trees? It’s also a great way to introduce the science of why the leaves change colour for older kids too. I can guarantee we’ll be getting some wet weather this year (hollow laugh – we do live in the UK!) so why not make it something to be celebrated and go out and splash around and have fun in it! Be prepared with plenty of waterproofs and perhaps a hot bath and drink when you come back in. From apples to blackberries there are plenty of foods that can be picked in the wild and made in to some delicious desserts. Perhaps you’re lucky enough to have a fruit tree in your garden? It’s a great way to teach kids about where food comes from and it can help picky eaters try new things too! It’s also a good way to point out to never eat anything you find unless they are with an adult or absolutely sure (for older kids). Ok, this won’t be going on all Autumn, but over the week that Guy Fawkes night falls you’ll likely be seeing lots around. We never had our own fireworks but we’d always go for a walk on the night and see how many we could see. We’d also go to some organised events if something was nearby which is a great way to see them all safely. Autumn is a great time to create a bird feeding station in your garden because they’ll begin to know where you are and when the winter months of scarcity come along they’ll rely on you. So starting in autumn is perfect. Either string up some food in a safe place – maybe some suet balls or a bag of nuts, or build yourself a bird table. A perfect activity in itself! Hedgehogs hibernate over the winter and will be using the autumn to find a safe place to be. Why not build a shelter for them? With all the colours around in autumn go on a treasure hunt and see how many things you can find of each colour. Which colour is the most common? 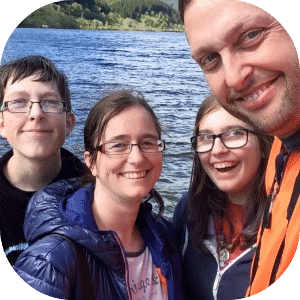 This is something we did when my kids were about 10 – we found a tree that we’d aim to visit at least every month and we’d draw and write about what changed. It’s a good thing to start in autumn as all the changes going on should be easy to spot while you’re just getting started. Finally we have the age old activity of collecting conkers! The nuts inside of a horse chestnut tree are a great thing to collect – see who can find the biggest or the shiniest?